Yet it was a frustrating (pre-Internet) time. The Jerusalem Post’s then-editors wouldn’t hear of footing the bill for long-distance telephone communications. Reporters from other Israeli papers weren’t likewise impeded. I had to travel by cab alone each night – over an hour each way – from our well-secured hotel to Cairo’s Reuters headquarters to file my copy by telex. However, it soon transpired that the Cairo phones rarely worked. That being the woeful case, my alternative prearrangements made me a sudden star among my colleagues, who in no time appointed me their pool-writer. The upside was that I had company on those long, forbidding after-dark taxi adventures. After I detailed what must be done and by when, the man in charge, chewing on some late-night nourishment, nodded and uttered “inshallah” – God willing. His task, I thought, was straightforward enough to be attempted without divine intervention. Why rehash bygone exasperations? Because they’re the Egyptian equation’s constant. The languor of Egyptian employees at a busy Western news agency isn’t much different from the languor of Egyptian uniformed personnel charged with safeguarding the Israeli border or the Israeli embassy – and that’s assuming unadulterated goodwill. And this is where the inconstant and changeable in Egypt’s equation come into play. Palpable scarcity of goodwill shoved Israel into the eye of Egypt’s storm. Making Israel a central controversy seemed patently counterproductive in the uprising’s early phases. Hate as the protest’s pivot was bad PR. To be sure, the ill-will was there from the get-go, i.e. the sexual molestation of an American newswoman accused – falsely as it happens – of the unforgivable crime of being Jewish. But international opinion managed to adroitly sashay past that unpleasantness. The syrupy story about masses yearning to be free was too sweet to pass up even if it wasn’t quite true. Now, in the course of apparently democratic campaigning, presidential candidates vie for the distinction of most anti-Israeli. The assault on the Israeli embassy in Cairo, therefore, hardly grated against the grain of Egypt’s mainstream public discourse. True, only a minuscule minority of Egypt’s population partook in the actual frenzy, but small matches can ignite giant tinderboxes – if allowed. The plain fact is that Cairo’s caretaker junta fears imposing discipline and its hotshots might not hotly disagree with the rabble’s inflammatory screams of “Khaybar” (one of the Jewish enclaves which Islam’s progenitor Muhammad attacked in violation of his explicit treaty pledges. Jewish men were beheaded, women abducted and children enslaved). These taunting “Khaybar” yells left no doubt about what motivated the mob, though ever-tendentious foreign correspondents outdid themselves in seeking excuses to justify the fury – like the August shooting of five Egyptian troopers. They omitted mention of the violent context of a terrorist infiltration from Egypt in which innocent Israelis were murdered. It was as if villainous Israelis had capriciously gunned down Egyptian nationals. In the end it took American intercession to prevent the slaughter of Israeli embassy guards. The very fact that President Barack Obama had to lean on the current Cairo powers-that-be is no feather in his cap. Had Egypt’s de-facto rulers a smidgen of residual respect for US deterrence, they would rein in the anarchy slightly more effectively. But Cairo’s military honchos had only recently witnessed Obama abandon and betray Mubarak, his supposed No. 1 ally. Whatever they thought of Mubarak before his fall, they learned that Obama cannot be relied upon. Among his other glaring failures in this critical region, Obama emboldened Palestinians to ditch any semblance of talks with Israel. He failed to scare Iran into desisting from nuke-manufacture and he managed to do nothing when Turkey threatened naval action against Israel. All of the above contribute to making our neighborhood more unpredictable and downright dangerous than ever before – not that it ever was a paradigm of prudence. In the best of circumstances Egypt was never as good as its word, its sincerity or lack thereof notwithstanding. 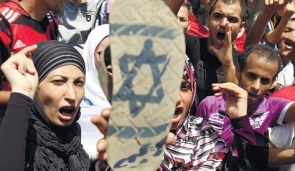 Der Stürmer-style Jew-slandering was rampant under Mubarak. Northern Sinai Beduin were loath to toe Mubarak’s line. Lawlessness and smuggling were their livelihood and their insubordination continued unchecked. 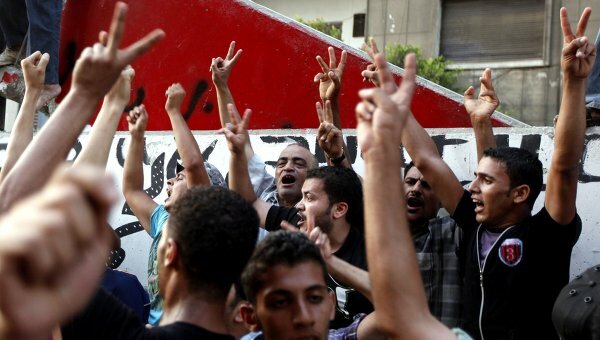 Mubarak’s attempts to control them were met by violent resistance. Whichever international agreements bound Cairo made no impression on the tribal gangs that called the shots in Sinai. They remain unimpressed. Similarly unimpressed was Egyptian bureaucracy. Its super-snarled red tape effectively obstructed all governmental executive decisions. Even topmost policy edicts were unrecognizably ground down as they were subjected to arbitrary whims imposed along the way by inflated cadres of sluggish officials. Mubarak could issue orders, but Egypt being Egypt, his commands were unlikely to be dependably implemented. In this respect too nothing has changed. The bottom of the bureaucratic pyramid was and remains the most troubling of all – the nature of the men assigned by Cairo to patrol our common border. They’re woefully underpaid and hence eminently bribable. For a handful of dollars, Egyptian officers will turn a blind eye to Hamas contraband and terror. Bakshish, after all, greases all Egyptian wheels. Not unexpectedly it was only bakshish that at the time resuscitated those prearranged Reuters telex services. In the end, after recurring maddening rounds of ma’alesh, inshallah, bukrah, we finally resorted to bakshish. The clock was ticking. Deadline was literally minutes away. We all coughed up some foreign exchange, greased the boss’s palm and in return he allowed me to sit at his teletypewriter and punch its keys myself. What’s the lesson for the Israeli collective? Maybe that Egypt is the “staff of hollow reed,” as per Isaiah 36:6. You brought it all together full circle. At the time Isaiah wrote this Israel was looking for peace and security from Egypt against the big threat of their day,the Babylonian Empire. For decades now Israel has been running to the latest Egypt and the newest Pharaoh in town Obama and it has again all proven to be a hollow reed,an exercise in futility. Those who go down to Egypt for help always get excited about Pharaoh O’s empty speeches which never line up with his deeds. History repeats and repeats and we never seem to learn. Old Egypt is the least of Israel’s problems because the new Egypt is. Hopefully Egypt will remain in its backwardness for all the rest of its future ! The biggest mistakes were made by the Americans, who pressured Israel to give up the Sinai and then supplied their newfound ally with modern weapons ! Since there is no longer the threat of Soviet interference in Egypt, it is PURE MADNESS to squander the money of the American taxpayer to support a dangerous potential enemy of Israel…IT DOES NOT MAKE ANY STRATEGIC SENSE ! America should immediately stop the funding of Egypt…the sons of the Pharaos will then be on their own and nobody will support their corrupt state and they will have to deal with the task of feeding their people instead of planning and plotting against Israel. “Der Stürmer-style Jew-slandering was rampant under Mubarak.” What about the Peace Treaty under which Israel gave up the oil- and gas-rich Sinai and other assets? It’s difficult to feel anything but derision for the various Israeli leaders too cowardly to stand upon that Treaty’s mutual implementation. America, herself in financial trouble, has been giving huge amounts of money to Egypt without asking for much in return. 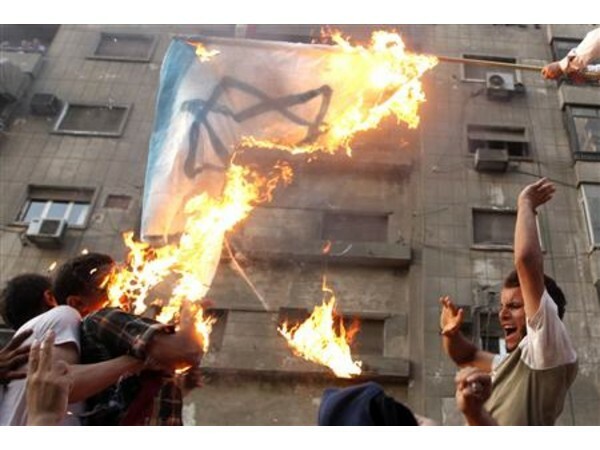 What’s happening in Egypt is the result of both America’s and Israel’s contemptibly pusillanimous attitude. Who Lost Russia? was the question being asked a few years ago. In a decade’s time, the question will be Who Lost the Arab Spring? While to a very large extent these losses can be attributed to the scorpion phenomenon – Egypt’s immutability as described by Sarah being a case in point – there is also a dose of universalism’s toxic saccharine peppered with plain incompetence at work. The fact that there was a time when ‘peace with Israel hadn’t yet been thoroughly delegitimized’ of course means that it is possible to reclaim that atmosphere, provided that the diplomacy employed is skillful enough. It would seem that the many western governments have latched onto the war fatigue of their citizens over Iraq and Afghanistan as a rationale to not take any active role in finding and fostering these sectors of society, scarce though they may be, and are content to let the universalism unfold as it will. Short-term thinking is the mark of leaders who are concerned with policy; the pursuit of long-term goals and the steadfastness that it requires is the mark of a leader with vision. We sorely need leaders with vision on the world stage now.